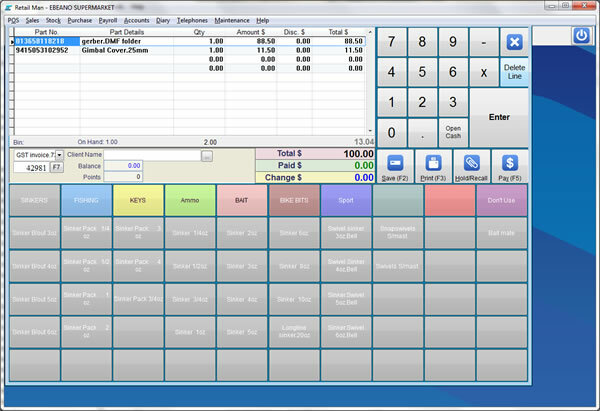 pos, pos software, inventory system, point of sale, pos solutions, pos systems, pos hardware, accounting, inventor. Support for most POS hardware :- docket printer, bar code scanner, cash drawer, pole display, touch screen, scales. Integrated payment processing. Sys requirements: Pentium 1000, 400MB disk space, 600x800 VGA, Windows Vista, 7, 8, 10, Windows Server.